Woot! You know what time it is? That's right GAME TIME!! What goes better with game time than pizza? That's right NOTHING. NOTHING. 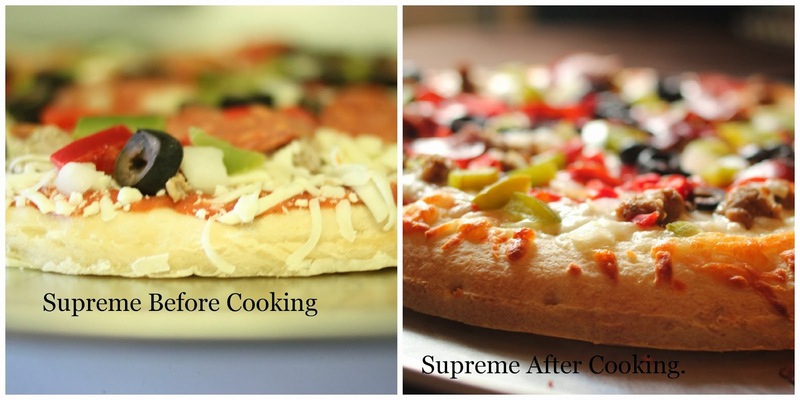 I love frozen pizzas and they are so much less expensive than delivery and takeout. What makes me even happier is that DiGiorno's is on rollback at Walmart for $4.50. That's a SMOKING deal and DiGiorno's is one of my favorite frozen pizzas. Perfect for if you need any football party ideas- easy addition! 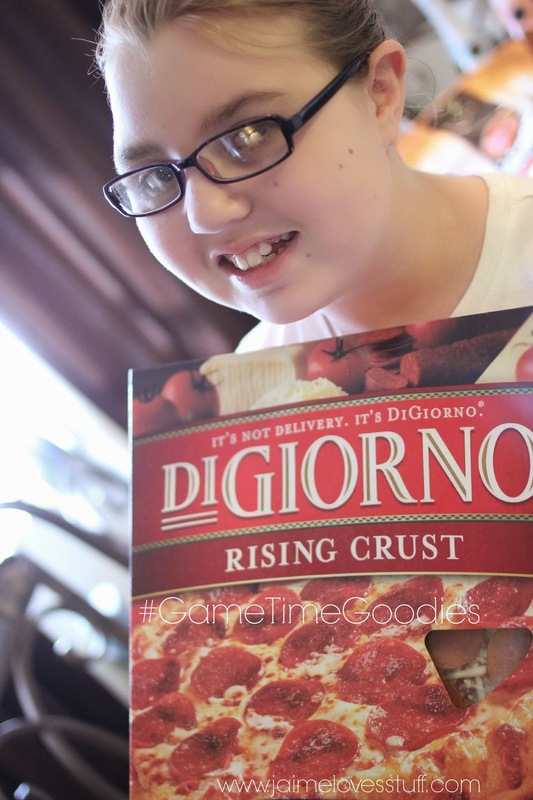 Of course, Emma was more than happy to assist with the shopping and picking out which YUMMY rising crust DiGiorno's we were going to get for our #GameTimeGoodies. I am on team thick crust. All the way. She wanted both pepperoni and supreme. A girl like her momma. She said "Mom! It smells DELICIOUS!" I said, "Um, Em, it's not cooked yet! We need to bake it first and then it will be PERFECT." She was not happy to have to wait. Ha. Ha. Poor child. However... I did tell her will eat hot wings with ranch dressing (I mean, come on! You can't have pizza without wings and wings need to have ranch dressing, right?!) and she was happy again. Ahhhhh. Bless this traumatic brain injury of hers. Easily upset. Easily redirected. After 25 minutes these beauties were perfection. Love, love, love the rising crust. My little Italian chefs (salt and pepper shakers) were the masters of the ranch dressing. Aren't they fab? Pizza + Wings + Ranch = #GameTimeGoodies Perfection. What do you eat for the big game or rather, any game? Must have the chips and dips! Definitely! Yum! I watched both games last night and had a couple of DiGiorno pizzas, too! I should've gotten some wings for the boys to snack on before we had our pizzas, or even some chips and dip. They weren't very thrilled with my artichoke/spinach dip. I was going to do chips and dip but when I left Walmart, I forgot my bag that had Velveeta (planned to make chili cheese dip). Oh my goodness... mmmm artichoke/spinach dip sounds so good right now! Yum! Absolutely! Must dip pizza in ranch! Yum! It's a perfect marriage! Have you ever tried the ranch from Eegee's in Tucson? 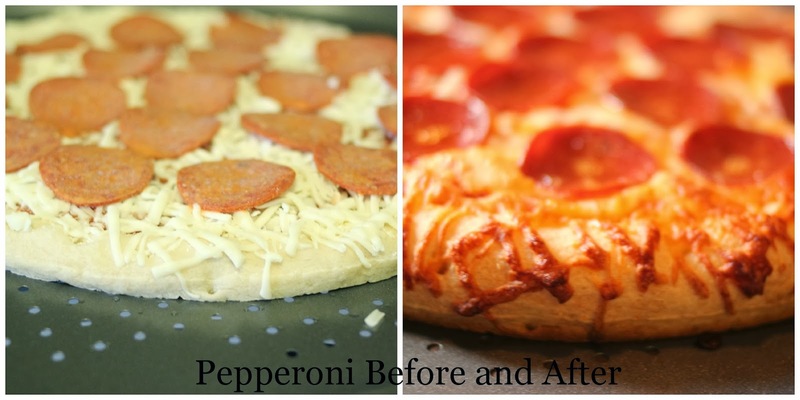 YUM it's the best.. and is great with pizza if you stash some aside! No! I haven't!!! I need some now! Yum!